1. The Road side BombS, spy tracking, etc. has become a top priority in many parts of the world. This Full band DDS Signal jammer can be used to protect military and VIP convoys from the threat of Remote Control Improvised Explosive Devices (RCIED). It can also be used to prevent the organization of riots has likewise become critical in countries world wide. 2. We're pleased to offer a selection of turn-key, "ready-to-drive" solutions to the threat of road-side bombs and organized riots. These are vehicles converted by Times Starlight into dedicated, traveling bomb jammers implementing the most effective and reliable RF jamming technology available anywhere. 3. This Jammer System for all 3G/4G cellphones with inside high-speed cooling fan. Omini-directional and directional antenna is optional. The prison jammer can be application for Government Building, Prison, and Facilities. Each band can adjust RF output power or turn off without influencing the other bands operation, it's user-friendly. We can charge at home by DC adapter, by car charger. 3. User can adjust frequency range by LED Control Panel. 5. Highly Efficiency output power, long jamming radius. 7. Over Heat protection by Thermal protector. 8. High input Voltage and low Voltage protection. 9. VSWR protection: against antenna miss-match including open and short circuit. 11. Modular construction for easy maintenance, repair and upgrade. 12. Jam up to 11 different jamming modules. 13. 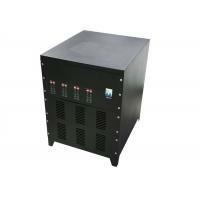 Max 1100 watt total RF output power. 14. Systematic Smart Cooling System. 15. The general design of the system meets military requirements. 16. Frequency bands and output power selectable. 17. Integrated main equipment, and antennas increases mobility of the device. 18. Different frequency bands can be controlled independently by different switches. 19. Local or wire control operation mode can be selected based on actual environment. 20. AC or DC power supply can be selected. 21. Power Amplifiers protection design ensures the working reliabity of the device. 1. Prevent remote controlled improvised explosive devices from being activated and stop terrorist attacks. 2. Protect explosives handling experts. 3. Protect important places such as bus/train stations, plazas, schools, mass gatherings, stadiums, etc. 4. Risk mitigation and explosives removal in specified spots. 1. The Jammer Monitoring Software Platform allows users to monitor and control all Jammers through Internet, and all real-time alarm information feedback to the users immediately. So that users can stay at office to have all information of jammers working status, and adjust the Jammers to suit the operating environment of the installed area, greatly reduce the customer's maintenance workload. 2. The platform enables real-time display of all Jammers' output power, operating temperature, alarm information (including over-temperature alarm, under-power alarms, VSWR alarms, Door open alarms, etc. ), and all information is specific to each Channel, real-effective, convenient and quick. 3. This platform also allows you to change the login page photo and upload your own logo by yourself.